Exeter-based photographer, Tim Pestridge LBIPP, has received acclaim for his work in Commercial photography after achieving the Joint Licentiate of the Year award at the British Institute of Professional Photography (BIPP) Qualification awards. These awards are to recognise the best photographers who qualified with the BIPP within the past year. Tim graduated from The University of Plymouth in 1995, having studied a BA Combined Honours Degree covering Graphic Design, Illustration and Photography. Over the next 10 years, Tim experienced a breadth of different creative roles such as video game artist, motorcycle magazine designer and an Internet designer. However, it was Tim’s experience art directing within a design agency that allowed him to work with clients and photographers, gaining valuable first-hand experience of the necessary skills to meet requirements for new images – from both a client and photographer’s perspective. To have remained busy for 8 years is testimony to Tim’s ability to keep all the plates of a business spinning, enjoying as he does working with people within a variety of industries. These include construction, higher education, tourism, food, architecture and retail. His ethos to offer good value whilst always exceeding clients’ expectations is a major factor in his success. He confesses to have never advertised, finding that word of mouth recommendations and referrals within the business community have more than sustained his business. When asked about his achievements at the Awards, Tim said “I was completely bowled over. It was a proper ‘sit down and take a breath’ moment. Incredible news indeed, as the BIPP were judging me against 68 other photographers”. “Over the year ahead I’ll be riding on the wave of encouragement gained from winning this award. It is hugely motivating and not only gives kudos to my business, but is a reminder of the benefits of prioritising my development plan, maintaining creativity and developing my personal style”. BIPP President, Roy Meiklejon FBIPP, stated “I was delighted to assist Russell Baston FBIPP in presenting Tim with the Joint Licentiate of the Year Award. His panel was of an exceptional standard amongst a class of 68 Licentiates; a testament of the quality of photographers within the BIPP”. As a qualifying body of professional photography in the UK, the BIPP requires any photographer going for qualification to follow strict criteria and provide a substantial portfolio of commissioned work, together with supporting information about themselves as a professional. Here’s a selection of the images submitted, along with several large samples. 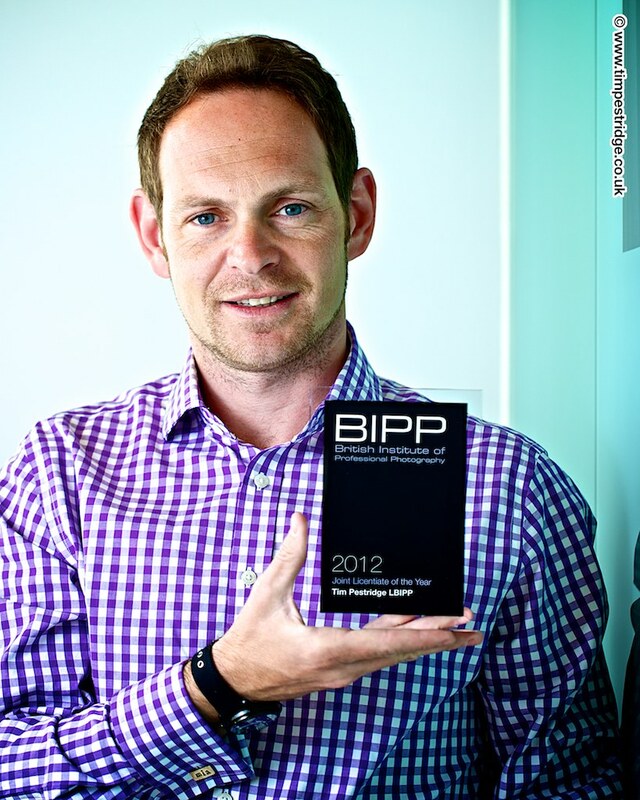 And here’s the link to the BIPP award winners page.